Recently, I delivered a presentation focused on aging alone to a group of older adults in a small rural community. Farm country surrounds the landscape, and the people there are very traditional; they depend on family for most everything. The nearest hospital and medical clinic are half an hour away. The town has 2,000 residents, one senior center and library, several churches, and schools. In this particular rural town, 21 percent are 65 and over, and 32 percent live alone. While speaking to the group, I learned their biggest concern is finding help and support at home when needed. Minimal organized assistance exists today. Adults living in rural areas have a desire to age in place, yet few studies identify ways to improve growing older in remote locations. I sensed the difficulty one has from isolation, ongoing support, and immediate aid. However, they've learned to survive the best they know how. The rural aging segment needs much, and I believe the first thing needed is connecting with other people because too many isolate. Secondly, transportation is a large concern but resolving immobility will take ingenuity. The Seniorcare.com Aging Council offered several helpful suggests for the group. The professionals identified several actions that specialists and technology groups can take to support healthy and connected aging in these far-removed areas. Mike Radice, Chartcares, developed several products that connect patients and others needing help with caregivers, family, and volunteers online. One product allows social connectivity for participants to join live, interactive classes which are video-based so they can see, listen and talk with other older adults. And another called MyCareVision.com uses a telepresence video conferencing system that connects with professionals. Margo Rose, BodyAwareGrieving.com, talks about mixing urban and rural living. Many people who live in the cities are choked by higher rents and would love to learn new skills and try out a slower lifestyle by doing a work/trade in a rural environment. This could benefit seniors who often have more land and a bigger house than they currently need as their adult children no longer live at home. Fritzi Gros-Daillon, HouseholdGuardians.com, thinks connection and use of the local resource providers is a good first step. An example, rural fire departments in San Diego County offer free smoke alarms and installation. The installation is the key to the success of the program. The second is local senior centers and outreach groups such as meal providers to expand their understanding of what older clients needs. Many rural older adults continue to rely on printed communication to stay current. And the last is disaster preparedness teams. They could also be a source for ideas about successful communication techniques. 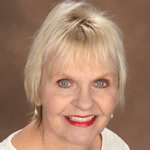 Kathy Birkett, Seniorcarecorner.com, believes rural adults health does suffer from lack of medical access along with proper medications and nutrition. Other thoughts that help are healthcare with transportation, telehealth, financial support for medications and access to nutritious foods especially in food deserts to help bridge the gaps.